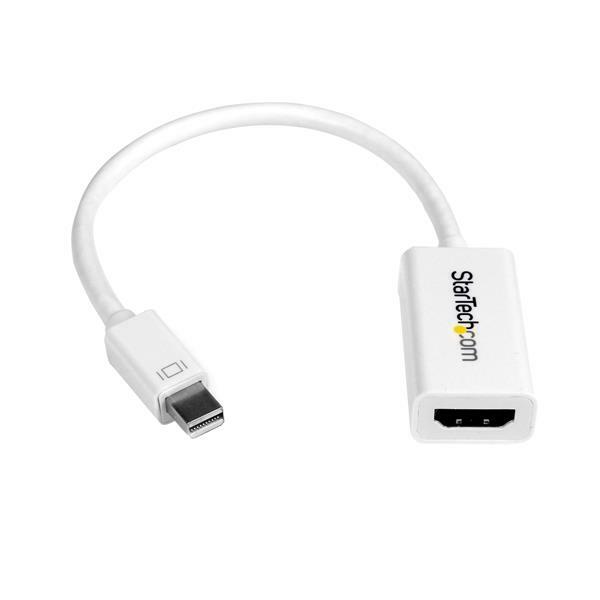 The MDP2HD4KSW Mini DisplayPort to HDMI adapter enables you to connect devices such as the MacBook® Pro, MacBook® Air and any Microsoft® Surface™ Pro devices with mDP, to an HDMI display. 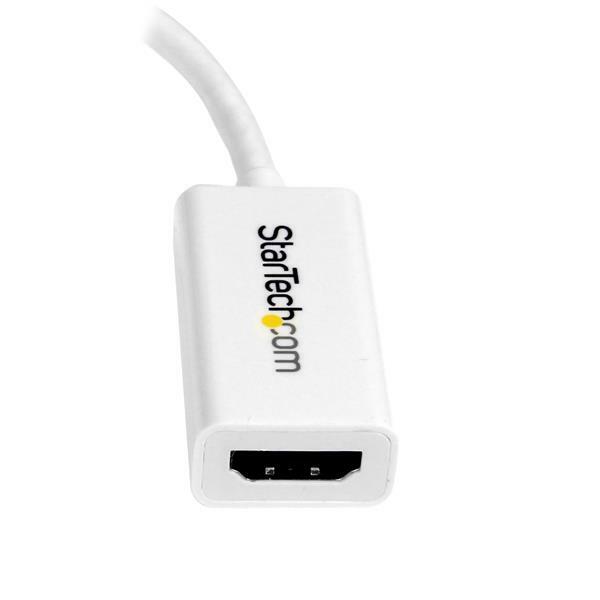 This adapter is compatible with Mini DisplayPort 1.2 & HDMI 4K @ 30 Hz and as a result can support video resolutions up to Ultra HD (4K) as well as the accompanying digital audio up to 7.1 channel surround sound. 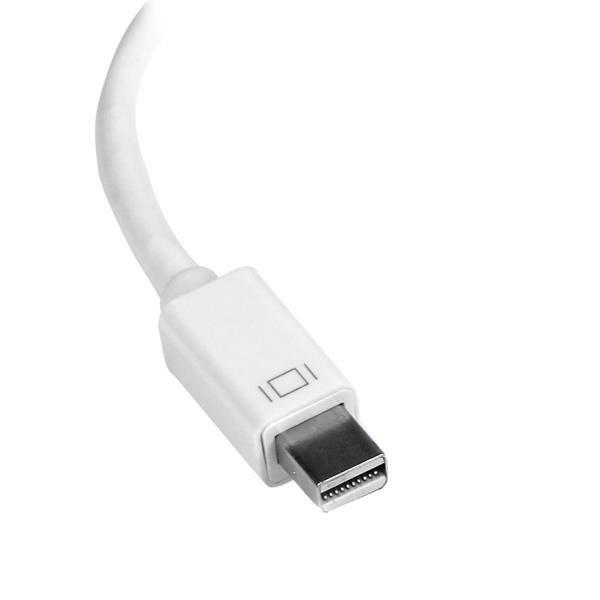 To support your Mac® the HDMI converter is compatible with Intel® Thunderbolt™ devices that output a DisplayPort video signal. With a sleek uniform white design the MDP2HD4KSW looks great next to your Mac®, and is backed by a 3-year StarTech.com warranty, and lifetime technical support.